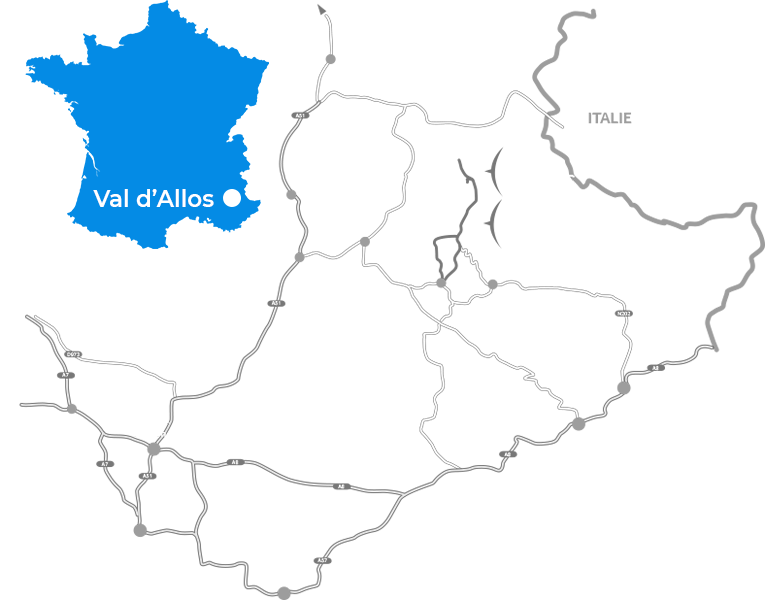 where to ski in Val d'allos... it is up to you ! Val d'Allos, ski resort in the Southern Alps, in the Alpes de Haute Provence, valley of the Verdon. 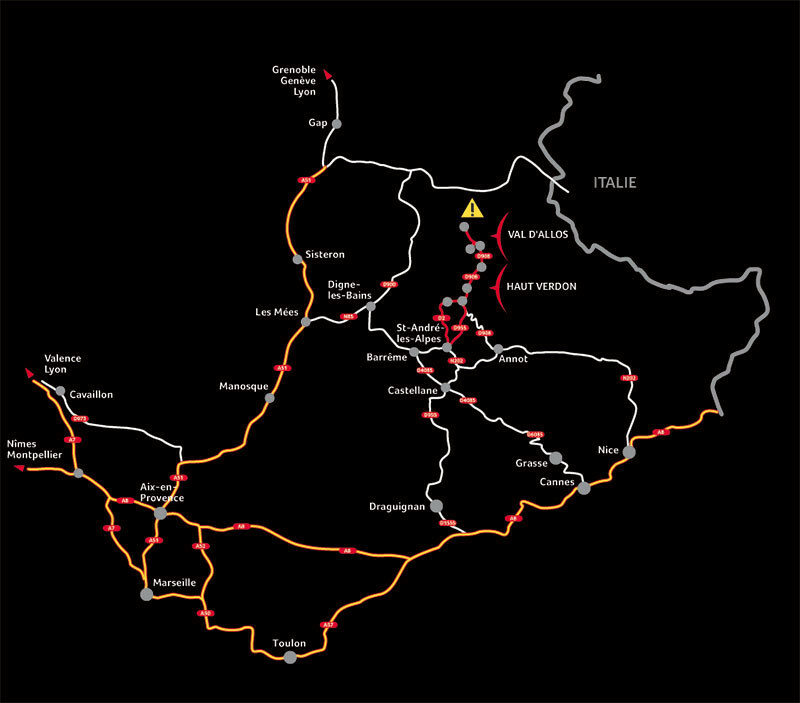 ► REMINDER: Col d'Allos is closed to traffic during November to early May. During winter (from November to may) the col Allos is closed, so you will arrive from south via St André les Alpes.